Having knee problems is not a rare problem. Over the years wear and tear begins to take its’ toll. Injuries can speed this process up as well, or leave a joint permanently weakened. Whether it’s ligament issues, arthritis or something else, having knee issues can be limiting to your exercise. A good idea for those who suffer with bad knees is to use low-impact exercise such as cycling. 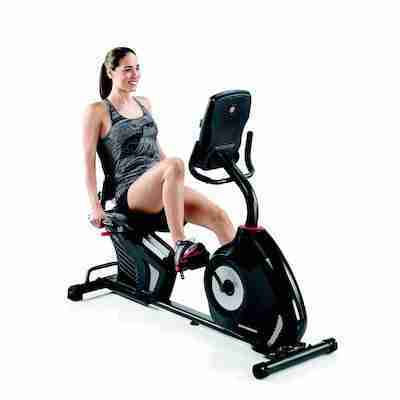 Our recommendation would be the Schwinn 270 Recumbent Bike. Using a bike also allows you to strengthen the tendons, ligaments and especially the surrounding muscular structure. Impact is minimal while the knee and legs in general are worked and strengthened. This can actually improve some conditions such as arthritis, or can be a use as a part of injury rehabilitation. Keep in mind there are different styles of exercise bike and the different positions can affect the strain placed on your knees. 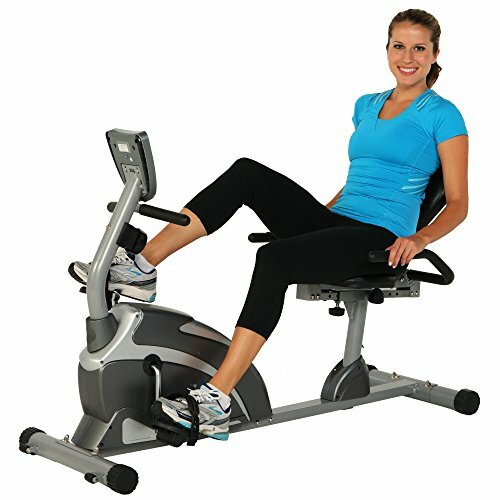 Our recommendations are mostly recumbent bikes, as recumbent bikes place the least strain on your knees. 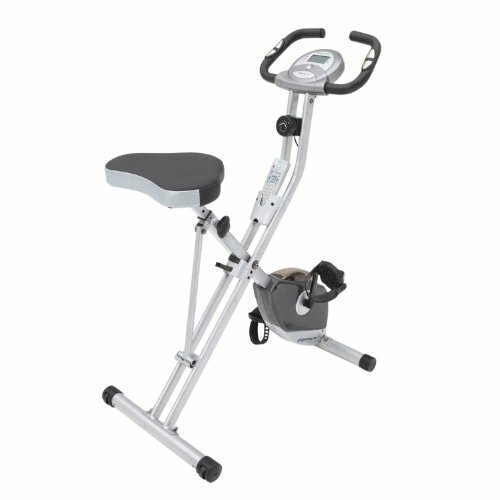 Other types of bike are still useful for those with less delicate knees, or who are in the advanced stages of injury recovery, so we have included an upright and a spin bike recommendation as well. You can find out more on the differences between bike types by reading our articles on Upright Bikes vs Spin Bikes and Spin Bikes vs Exercise Bikes. 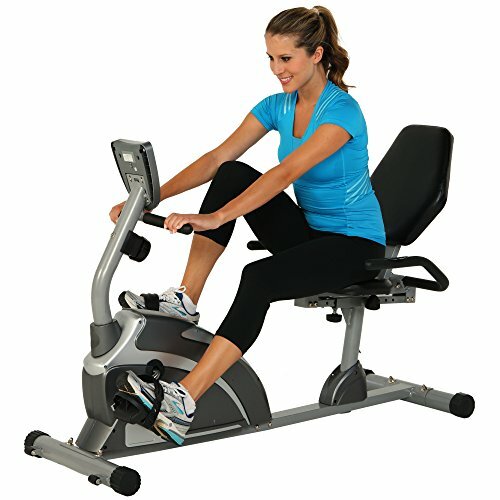 Schwinn are a great supplier of stationary bikes and the 270 is an excellent model. This bike has plenty of features combined with solid construction and high comfort levels. For people who want the best possible bike whilst dealing with knee issues, you can’t go wrong with the Schwinn 270 recumbent bike. This bike comes with a thick, padded seat which can be adjusted so you’re in the most appropriate position for you when cycling. The seat is designed to give plenty of ergonomic support to your back and the seat back is also vented, allowing cool air to flow through when in use. The built in fan adds to this by giving even more ventilation and can be great to help keep cool during intense workouts. 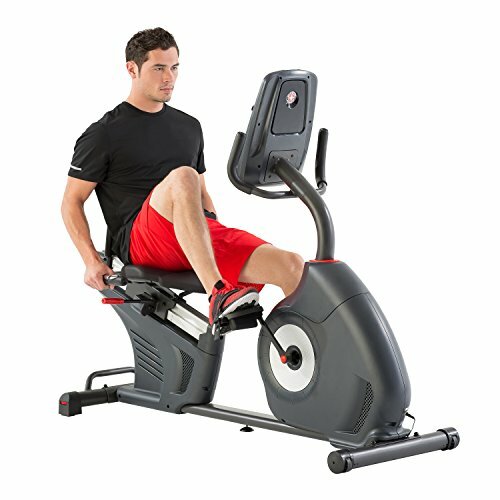 There are 25 different resistance levels on the Schwinn 270 Recumbent bike, and it also has 29 programs to choose from. These include workouts of varying difficulty alongside test type settings. Along with being able to adjust the bike for your build and choosing your own workouts and resistance levels, this bike also has user profile memory as standard. That means you can store your stats and monitor your progress over time. Storing this data is great for people who struggle to remember exactly what workout they did or how they performed. 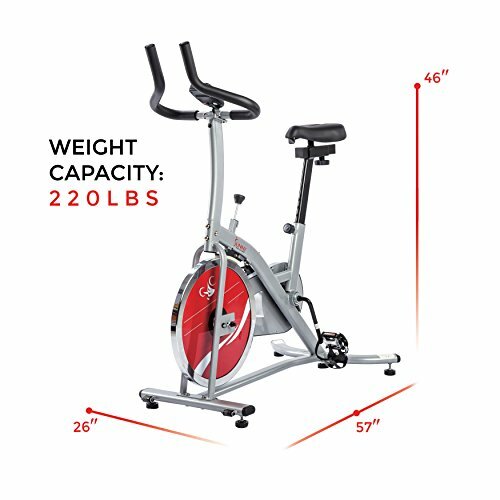 Having a split-screen set up, thanks to DualTrack technology, allows the Schwinn 270 to display a variety of information at a glance. You can see your current progress in terms of calories burned, time elapsed, and more. At the same time, you can view your overall progress within the session or other info for comparison. These stats are easy to transfer on to an external device either to store or for further analysis. Schwinn’s 270 Recumbent is easy to move around despite its’ weight because it has transport wheels installed on the bottom. Simply lift at one end, tilting the bike, and wheel it away to wherever you require. There aren’t any real drawbacks to this recommendation other than the price. It’s more expensive than our other options though you get what you pay for in this case. Our folding bike choice is the Exerpeutic 400XL folding recumbent bike. This isn’t an entirely recumbent bike, and should probably be described as semi-recumbent. The position is still more comfortable for many people than an upright though, and it folds away with ease. To find outmore on some alternative recumbent bikes, check out our post on the best recumbent bikes. This bike isn’t as big as most recumbent bikes when set up. It measures 33”x19”x46” when assembled and can be folded away easily. It also only weighs around 40 lbs so shouldn’t be too difficult to move when folded. The 400XL doesn’t make much noise when in use. It also doesn’t jam or wobble at all, staying steady and smooth in its’ operation. Exerpeutics 400XL folding bike is cheaper than most recumbent options, making it a popular choice. Although this bike comes with a 1 year warranty, there have been reports of this bike beginning to wear out a little over time. That could mean it needs replacing after a few years depending on how much you use it. The price isn’t over the top, so this is acceptable to some. Also keep in mind that many users haven’t had any durability issues. There’s no ability to enter personal info into the 400XL bike so it can’t figure out statistics for you, and also won’t remember any settings. Now this is a tricky area. The bike is actually quite adjustable and can be comfortably used by most people. The stated heights are 5’2” – 6’2”. We have found shorter users may be able to get by, perhaps to around 5’ in height, whilst taller users are likely to struggle. Even at 6’2” you’re probably going to max out some of the adjustments, so the ideal sizes are more like 5’2” – 6’. Exerpeutic get another bike into our picks for this article with the Exerpeutic Folding Magnetic Upright Bike. As the name suggests, this is another folding bike and is our choice out of the uprights. It’s also a magnetic bike which means it uses a magnetic flywheel to create resistance. This is a smooth and reliable method which tends to work well though the flywheel may need replacing after a few years of heavy use if you want the resistance to stay the same. As the name suggests, this is another folding bike from Exerpeutic. It folds away quickly and easily for storage, ideal for those in cramped spaces. 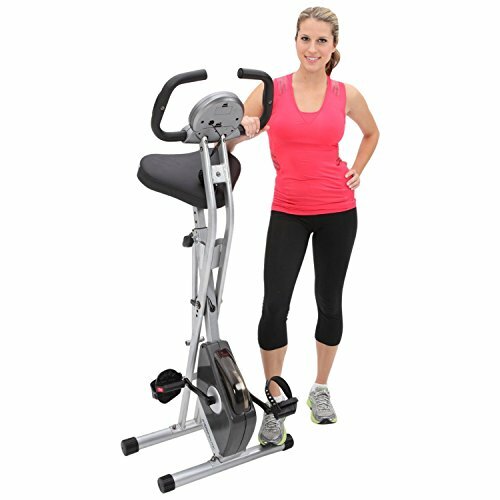 The magnetic flywheel and a smooth pedal motion make the Exerpeutic Folding Upright bike very stable and smooth to ride. This model also doesn’t wobble or cause any crazy vibrations through the floor, making it a great choice for apartment dwellers. There aren’t many steps involved when building this Exerpeutic Magnetic bike. It can be constructed in 15-20 minutes quite easily and the required tools are included. As with the Exerpeutic recumbent bike, this one has had problems with wear when put through intense use. It appears to be designed for light to moderate use and not heavy/intense sessions. Again there’s a 1 year warranty included though after this time you’ll need to fix/replace it yourself if anything happens. Uprights in general are less comfortable than recumbent bikes, because the seat has no back support and is smaller. With the Exerpeutic folding upright bike the seat is a controversial area, with some claiming it’s comfortable while others don’t like it and want a larger, more padded seat. This should be kept in mind when ordering. Sunny are a mid-market brand which combines good quality with affordable pricing. Spin bikes are preferred for their realism related to outdoor cycling, and aren’t often recommended for bad knees. If you are just completing rehab or have other reasons to use one though, the Sunny Indoor Cycling Bike is our pick for you. 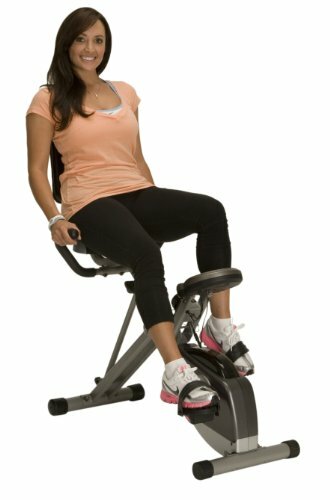 If you want to check out some alternative spin bikes, specifically Precor bikes, click on this link. When it comes to spin bikes, this is a very affordable option. 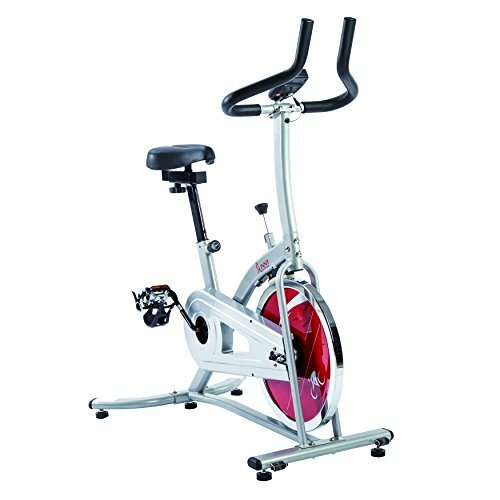 Sunny’s SF-B1203 indoor cycle comes in cheaper than most spin bikes and can compete with most options in the mid-range. The alignment is a little different on this bike when compared to other spin bikes. It gives a bit more comfort for the user and allows the knees a bit of a better position than some other bikes. A lot of users say that being even 6’ is too tall to use this unit. 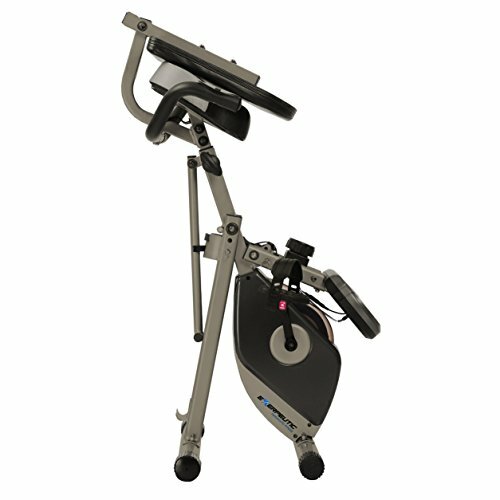 The Sunny SF-B1203 indoor cycle is only adjustable at the seat, which can be moved forwards/back or up/down. With this being the only adjustable part, some people are going to struggle to find a comfortable position. The trade-off for a cheap and functional spin bike like this comes in build quality. The materials used to build this bike aren’t the best and there are reports of bent or broken parts. The Sunny SF-B1203 sometimes has issues with creaking/clicking noises as well. 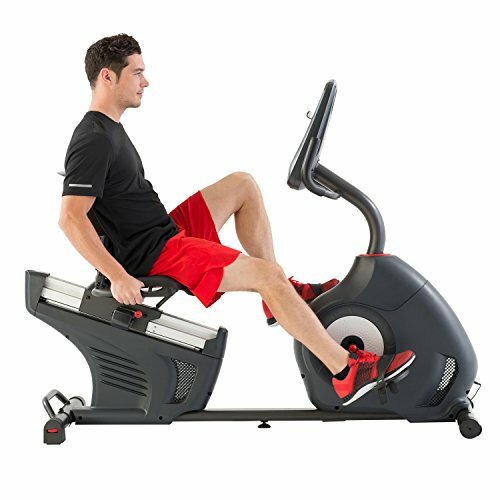 For those who want a fully recumbent bike at a bargain price, we present the Exerpeutic 900XL Extended Capacity Recumbent Bike. Yes, Exerpeutic again. This bike is user-friendly, cheap and great for users with knee problems. For more budget bike options, you can take a look at our article on the best exercise bikes available for less than $200. Once assembled, this bike has an open layout which makes it easy to climb on and off. Comfort levels are high thanks to a large, padded seat with back support. There are very few recumbent bikes in this price range, so you’ll really struggle to beat the Exerpeutic 900XL without going a fair bit higher in price. 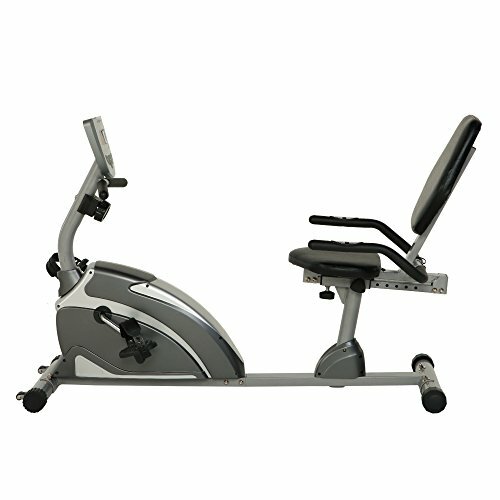 Exerpeutic have opted for reliability with their updated version of the 900XL recumbent bike. It comes with a 3 year frame warranty and doesn’t seem to have any problems with squeaking, clicking or broken/damaged parts. There are only 8 resistance levels to work through, making this quite limited for those who want a big range of progress. Combined with the fact there are no pre-programmed workouts, it makes this bike a bit limited for variety and better suited to dedicated users. Many users report the instructions included with this model are tough to follow. Exerpeutic need to fix this if they want the 900XL to see increased popularity. Other than a basic display, there aren’t any real advanced features on this bike. Clearly there’s a wide range of bikes here, depending on your needs. I wholeheartedly recommend the Schwinn 270 over the alternatives unless you specifically want a folding/upright/spin/budget bike.